Somewhere around 2.3 million couples get married every year. The average wedding budget sits around $20,000. While that is a pretty hefty price tag, many couples receive a large number of gifts through their registries. Approximately $19 billion is spent on wedding registry gifts each year. To make your big day even more special, there are even some wedding registries that offer free gifts. Amazon has a number of freebies available to couples who register on the site. Most are bonus gifts that are thrown in when certain purchases are made. For instance, if you buy a piece of cookware, a bonus pan is added to the order. Bed Bath & Beyond is a more traditional retailer to register with for your big day. Like Amazon, Bed Bath & Beyond offers free bonus gifts. You can view the possibilities in the company’s FreeBook, but they range from small appliances to dinnerware. Also, a completion discount will be added to anything left on your registry after the wedding. Bloomingdale’s gives couples who register with them a $100 gift card when you spend $500+ on a registry. You’ll also get a 10 percent discount on any items left on your registry for up to six months after the wedding. Just like the previously mentioned retailers, Bloomingdale’s has bonus gifts available too for certain purchases. Bon-Ton isn’t always listed among wedding registries that offer free gifts. You’ll need to check with the retailer directly. However, they have been known to offer free gift cards to newly registered couples. Register with select vendors at Crate & Barrel and receive free bonus gifts. For instance, once your guests have purchased $500 of Caphalon cookware, you will receive a free griddle. These freebies will change from time-to-time so you’ll want to check in-store. Crate & Barrel also offers any couple registered there a percentage off a tux rental, free save the date announcements, and 10 percent off all purchases six months after you get married. The Container Store can help you stay organized in your newly married life. They’ll give you a free portable file tote for registering there. Additionally, free shipping and gift wrapping are offered on orders over a certain dollar amount. Dillard’s has some of the most attractive wedding registry freebies. You will get a free “I thee wed” wedding and home planner. You’ll also get free shower enclosure cards. Like many other registries, Dillard’s offers completion discounts and gifts. After your wedding, when you visit the store, you’ll receive a free gift (like a cookbook). Certain brands available at Dillard’s also offer bonus gifts when you purchase certain items on your registry. These include Dillard’s china and stemware, and other cooking items. Anyone buying anything from your registry will also receive free gift wrapping. JCPenney has a number of incentives available for engaged couples who register with them. Many of the freebies are bonus gifts depending on the purchase of another item. For instance, you can get a free Calphalon knife and trivet with the purchase of $400 in Calphalon products. Other freebies include a UDB flash drive, a mixing bowl set, recipes, cookbooks, magazine subscriptions, free liqueur glasses, and even a knife set. When you buy any three gifts after signing up for a wedding registry at Kohl’s, get a free bonus gift. Choices include a Calphalon knife and trivet, small heart dish, and a petite saucepan. Macy’s offers a ton of rewards for people who register with them. Couples get 10 percent off every eligible purchase made during their registry timeline in addition to 5 percent rewards (given in the form of a gift card after the wedding). You’ll also get a free coupon book and brand completion gifts as well, like the retailers above. Macy’s offers a 20 percent discount on any purchases made after the wedding as well. When you register for select items, Sur La Table will give you free wedding gifts. Without making a single purchase, you have the chance to get a free cookbook, cut-resistant glove, gift card, or apron. Target gives couples who register with them 15 percent off any gifts you don’t receive from your list. You also have a full year to exchange or return anything. By adding certain brands to your registry, you’ll also get free bonus gifts when items from your list are purchased. These offers change from time-to-time so you’ll want to see what the latest deal is that Target has. Things Remembered is a great place to get personalized gifts. When you register for their bridal newsletter you’ll get a free personalized keepsake heart. Register for gifts with select vendors at Williams-Sonoma and earn bonus gifts. Some brands gift something small for just adding them to your registry (no purchase necessary). Registering in more than one place is a good idea, too, especially if you have family traveling in for your wedding. Because the same retailers aren’t located everywhere, it may be easier for them to pick up something at Walmart or have it sent directly to you through Amazon. Just be sure that if you register at one or more of the places listed above you are able to monitor what has been purchased. If you can, try not to double register for anything – or give people the open to mark it bought from a larger collective list. Readers, have you heard of other wedding registries that offer free gifts? Can You Afford an August Wedding? Does Walmart Have a Wedding Registry? How Much Does a Divorce Really Cost? Most people know divorce can be costly. Along with having to divide a couple’s assets, both parties have to contend with a variety of expenses, including costs such as filing fees, lawyers, and certain services. If you want to know how much a divorce costs, here’s how to estimate what you may need to pay. How Much Does the Average Divorce Cost? A typical divorce in the United States costs around $15,500. The average hourly rate for a divorce lawyer comes in at $250. However, there are a lot of factors that determine how much a divorce costs. In some cases, it is possible to get a divorce for less than $500. In others, it can cost $30,000 or more to divorce a spouse. How much a divorce costs depends on a variety of factors. For example, where you are getting a divorce plays a role, as different states (and even counties) may charge different fees. Additionally, if you opt for a do-it-yourself divorce, you’ll spend less than if you need to hire a lawyer. Similarly, deciding to use mediation or a collaborative divorce may be less costly than the traditional approach. Whether you have children or not also impacts the final price tag. Plus, if you and your spouse generally agree on the major points, such as the division of assets, child support and custody arrangements, and similar considerations, the process may be less expensive than it the situation is more contentious. The need to go to trial also makes a divorce more expensive. If you can avoid going to trial, you can save money on your divorce. How Much Does the Least Expensive Divorce Cost? While the actual cost varies by location, a divorce can cost $500 or less. However, both parties must agree on all major issues, a circumstance known as an uncontested divorce. Additionally, one of the parties will need to create their own divorce papers. Usually, fill in the blank divorce papers can be purchased as part of a kit or you can use an online service to draft your own paperwork for a fee. In some cases, you can actually get a packet from your local court or state website for free or merely for the cost of printing, allowing you to save as much as possible. Once the documents are ready, the person filing will need to pay a filing fee. These vary by state. In California, one of the most expensive states for filing for divorce, filing a petition for dissolution of marriage costs generally costs $435. In Mississippi, the cost is only $113. However, if the filing fee is genuinely unaffordable, many states allow you to submit a form and request a waiver. Usually, you will have to show proof of financial hardship to qualify for a waiver, though it is worth pursuing if you are a low-income household or experiencing significant financial difficulties. You also need to pay a fee to have the other party served with the papers. Again, this typically varies, though isn’t as costly as the filing fee. When you need to hire a lawyer to assist during your divorce, the lost goes up dramatically. In most cases, attorneys charge by the hour, so your exact cost will vary depending on the amount of work they have to do to handle your case. Hourly rates for lawyers are commonly several hundred dollars, with some even exceeding $500 an hour. They usually charge for a variety of activities, including the time spent on phone calls, emails, text messages, paperwork preparation, legal research, preparing for depositions and discovery, preparing for court, and representing you on the day of your hearing. However, you do not have to use a lawyer for every part of your divorce. For example, you can opt to only use an attorney for the creation of your paperwork, allowing you to gain access to their expertise for just that task. Using mediation or collaborative divorce is less expensive than the traditional option that involves going to trial. If you go the mediation route, you and your spouse get together with a neutral third party who helps you resolve any disputes. If you choose a collaborative divorce, both parties will need an attorney. However, you will attend meetings together instead of going to trial, working to resolve any issues until an agreement is reached. The cost for mediation or a collaborative divorce can range from a few thousand dollars to $9,000 or more, depending on how complex the case is and how many meetings are necessary. But, in most cases, it is cheaper than going to trial. What If We Have Children? If you have children, you can use any of the options above to get divorced. However, it makes the case more complex as you have to address items like custody agreements, visitation, and child support. Essentially, if you have kids, expect it to cost more than if you were a couple without children. The only exception may be if you choose to use the do-it-yourself approach, though there could still be additional fees or requirements that add to the overall cost. Is a Legal Separation Cheaper Than a Divorce? In many instances, a legal separation costs about the same as a divorce. You still have to create formal documents and file with the court, so those charges are usually similar to those associated with a divorce. Similarly, if you use mediation or lawyers to come to an agreement, you won’t be charged less just because it isn’t a divorce. However, if you believe that you may reconcile, then a legal separation may be a better option. With a legal separation, you remain legally married but are able to create separation between your lives formally. Under this agreement, you are not allowed to get remarried unless you choose to divorce. You also have legal rights to inherit from one another and to certain benefits, like Social Security. Plus, a legal separation is reversible. If you resolve your issues and wish to reconcile, you can file to remove the legal separation. With a divorce, the dissolution of the marriage is final. If you ultimately reconcile, you would have to remarry legally to reestablish the union. Are you divorced? How much did getting divorced cost you? Share your experience in the comments below. We talk a lot about money: How to get it, how to spend it, where to spend it, and how to save it. For all the time we devote to talking about, worrying about, and dealing with money, you’d think it was the most important thing in the world. If the time spent obsessing about money truly equated to its worth, there would be nothing you couldn’t do or have without money. Money would be the only thing that mattered. But is money really as valuable as our obsession level leads us to believe? Money is important, obviously. Without it we’d have no roof over our heads, food in our bellies or clothes on our backs. Money allows us to do and have more things than we can without it. It’s a means to an end. But, for all that money is useful and good to have around, for all that it can buy, there are quite a few things that it can’t buy. Even if you have millions of dollars, there are some things you’ll never have with money alone. So what can’t money buy? Here’s 10. Money cannot buy back lost time. As each day passes, it is lost and you can never get it back. When you miss that chance to say, “I love you,” to someone special, or you tell your kids, “Not now, I have to work,” that opportunity is gone. No amount of money that you make in the future will get that day, that moment, back. It’s a cliche that money can’t buy happiness, but it’s also true. It can buy you some fun and fleeting joy-a cool vacation, a big TV , a fast car-but it can’t buy the true happiness that comes from liking yourself, having stable relationships, and good a familial support system. Money can buy your kids a lot of clothes, toys , and gizmos, but it can’t turn them into secure, responsible, well-mannered, intelligent people. That only comes from the time you spend with them and the things you teach them. 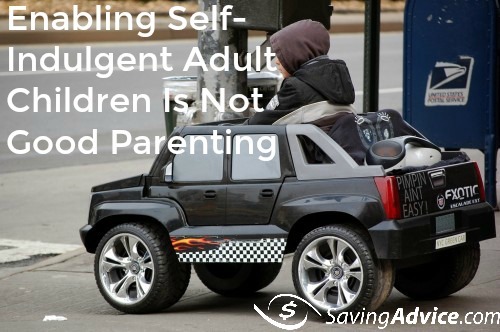 Money might help with some aspects of parenting, but it’s been proven many times that kids, once their basic needs are met, benefit more from parents spending time with them than the amount of money spent on them. It’s another cliche that money can’t buy love, but a true one. Money can buy initial attraction or even lust, but “true” love comes from mutual respect, caring for each other, sharing experiences, and growing together. There’s a reason that people who marry only for money rarely end up happy. Love at it’s best functions regardless of whether you have a lot of money or very little. True, you can buy things that make you fit in-the latest cars, clothes, shoes, or electronics — but these things don’t represent true acceptance. If you really want your peers to accept you (beyond high school where a pair of shoes really does make you part of the in crowd), you’d do better to focus your energies on making yourself valuable to those around you. Being a good friend, a kind and helpful person, and someone who excels at what they do will go further in gaining acceptance than the stuff money can buy. Money can buy healthcare and medicine, but it cannot replace health once it’s lost. It’s far better to take preventative action such as watching what you eat, exercising, not smoking, and getting regular physicals than to rely on money to save you once your body has started to fail you. Money also can’t buy back your youth. No amount of money you make in the future will replace those days when your body could do anything easily and look good doing it. You can spend thousands on “treatments” to preserve your youth, but it’s an illusion. Once your youth is gone, no amount of money will get it back. Some people succeed by being slimy and paying/bribing their way to the top. But these are the exceptions, and I would hope you wouldn’t aspire to that. Success comes from hard work, applying your gifts in the best way possible, and paying your dues to move ahead in the world. There is very little that money can buy you to help you succeed. It might be able to buy you some training or equipment, but the majority of your success is determined by the work you put in, not the money you spend. People are born with certain talents. Money can certainly nurture a talent. You can buy music lessons or coaching sessions to nurture your talents, but money cannot buy a talent. You can learn to do certain things well — I’ve learned to play the piano after years of lessons — but you can’t buy the true gift to do it well. Even after years of lessons, I don’t have the ability to make the piano truly sing, whereas others in my family have had that talent from birth. There are plenty of rich people who are rude and crude and plenty of poor people who demonstrate perfect manners and respect for others. And vice-versa. The amount of money you have doesn’t determine whether you behave well or poorly. You can’t buy manners and classy behavior; parents and family members who want to see their offspring behave well in society teach and practice it at all levels of society. Money doesn’t confer good behavior. Money can buy you entry into a better class position, but it cannot make you behave with class. If money could buy peace, I think we’d be there by now. Think of the amount of money that governments have spent over the years in the name of “peace.” Has it worked? Nope. Peace isn’t something you buy. I think peace only comes from acting fairly, humanely, and treating others (people and countries) as we would want to be treated. And even then, it might not be possible. But for sure money won’t buy it. I’m not suggesting you give up the pursuit of money and go on some monastic quest for deeper meaning. It is important to manage your money well, to educate yourself about money, and earn enough to secure your financial future. However, it pays to stop and think every now and then about the things you would still have even if you didn’t have money. How much money you have doesn’t determine your family, your health, and your gifts and abilities. There are things that no amount of money can buy and it’s worthwhile to pursue them even as you worry about money. Money is important, but maybe it’s not the most important thing in the world. Is there anything else money can’t buy? Share with us in the comments below! Romantics will tell you that fresh flowers are perfect objects of condolence because they symbolize the beauty and brevity of life; allergics will tell you that they would prefer their sniffles and tears at a funeral to be from grief. Whichever position you hold, I hope you’ll agree with me that fresh flowers can cost a lot for the amount of time they last – which are just a couple of the reasons you might want to consider other alternatives to flowers at funerals. When the deceased was well known, a grieving family may receive so many flowers that they hardly notice the particular arrangement you lovingly selected. Often, other means of condolence can be better appreciated and less expensive than fresh flowers. Send a potted plant. For those who want to stick close to tradition, consider sending a potted plant from your garden in a basket or pot from a thrift shop; grieving family members can transplant your gift into their yard and have a lasting memorial to their loved one. Donate to charity. This is becoming more common; many obituaries will suggest a favored charity to receive gifts in lieu of flowers. If no charity is suggested, be sure to choose one the deceased would appreciate; don’t give to PETA if his favorite meal was surf and turf or donate to a church if she was an atheist. Housesit during the funeral. Consider housesitting during the funeral, particularly if you did not know the deceased well but are close to a family member. Sometimes homes of grievers are targets for burglars who browse the obituaries looking for names of family members and funeral times. Offer babysitting services. Likewise, many families could use a babysitter during the funeral. Families with children too small to attend the funeral would greatly appreciate having someone they know to stay with the young ones so that everyone else can attend. If you plan to attend the funeral yourself, offer to take the kids away for a few hours while the adults make funeral arrangements. Write a letter. Tell the family how much you appreciated the person who died. A letter works well if you were closer to the deceased than to the family. Tell stories about their loved one that they might not have heard; recall fond memories so that they have an opportunity to smile during a sad time. Create a photo collage. You may be able to display a photo collage of the deceased at the meal for the funeral. A collage gives mourners something to gather near and often sparks memories for those who see it. Offer to help with laundry or run errands. It’s difficult to manage these duties alone while planning the funeral or managing details of the estate. One fewer thing on a to-do list can be a big relief for someone who is grieving. Offer correspondence services. If you know the family well, offer to make a list of names and addresses of everyone who sent condolences, to make calls to far-away friends and relatives who might not have heard about the death, or even to answer their incoming calls for a while so they can rest. Stick around. Mourners often say that the hardest time is after the funeral when all the commotion has died down, and they are left alone. Be sure to check in on a friend who has lost a loved one several weeks and months after the funeral. Call or send cards each month saying, “You’re still in my thoughts and prayers,” or make a point to schedule more frequent visits if your friend now lives alone. Remember, each person mourns differently. Know the person you are trying to comfort and offer what will be most appreciated. Some will want to talk; others will need some space. If you’re not sure what to do, consider asking your friend how you can best help him or her get through the difficult grieving process. Do you have any other ideas for alternatives to sending flowers? Share them in the comments below.